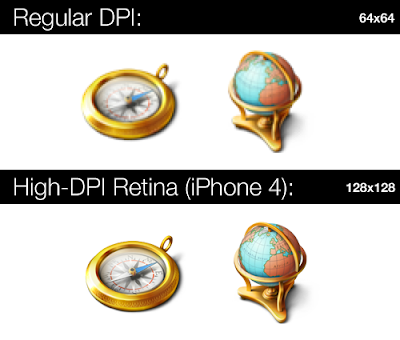 With the iPhone 4 and its retina display, web designers are now forced to think about high resolution content for their web pages and web apps - if they want it to look good! 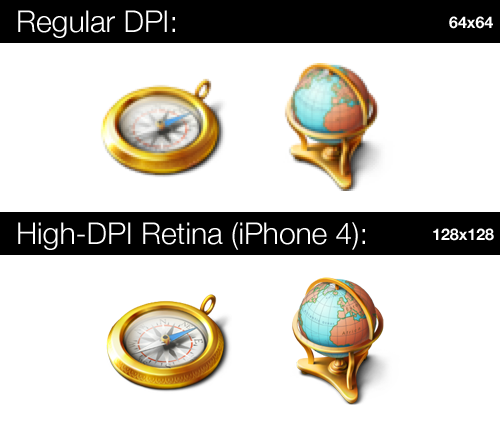 For App developers, Apple has made it quite easy to transform an existing app into a high-resolution one - you just need to provide higher-resolution artwork, and the iOS handles the rest; but for the web... things aren't quite as simple: as you can find out in this post about creating high-resolution web content. On a similar note, when dealing with mobile browsers, it's always nice to know cache limits for Android and iPhone browsers.